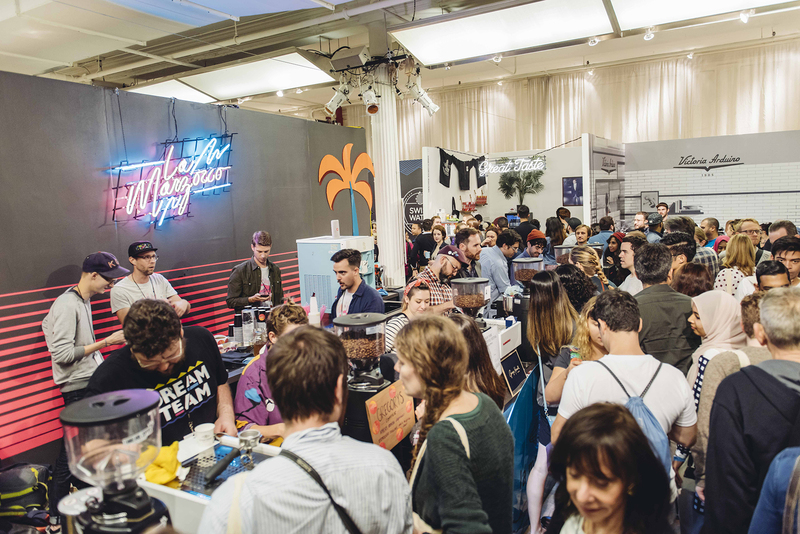 Join us October 12-14 at the New York Coffee Festival for an interactive, DIY espresso experience, as well as coffee served from some of NYC’s best cafes and roasters. We’re setting up a two-sided booth that features a home espresso experience bar as well as the La Marzocco True Artisan Cafe. 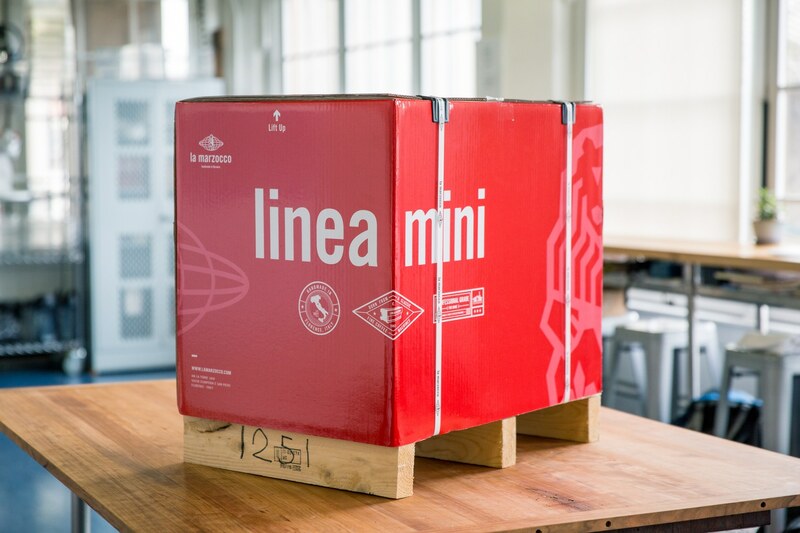 Oh, and we’re giving away a Linea Mini. Read on for more info. This year, we’re excited to announce we’re once again upgrading one lucky fan’s home espresso setup by giving away a La Marzocco Linea Mini! To take home your own La Marzocco, head to the La Marzocco Booth (L20) and learn to Make a Shot with the Home Team on the right-hand side of the booth. Once you’ve made your shot, we’ll give you an entry card to dunk through the hoop. We’ll randomly choose a winner in late November. Official Rules at the bottom of this page. Learn to make your own shot of espresso with the La Marzocco Home team. We’re setting up 3 home espresso workstations—each staffed by La Marzocco Home team members, with the sole purpose of nerding out about home espresso and teaching attendees how to make a shot of espresso. One station will be equipped with a Linea Mini and two with GS3s. Together, we’ll spend the weekend practicing shot-making, walking through adjustments, and learning to tweak espresso fundamentals. Be sure to drop by and grab one of our Home Barista Playbooks as well. 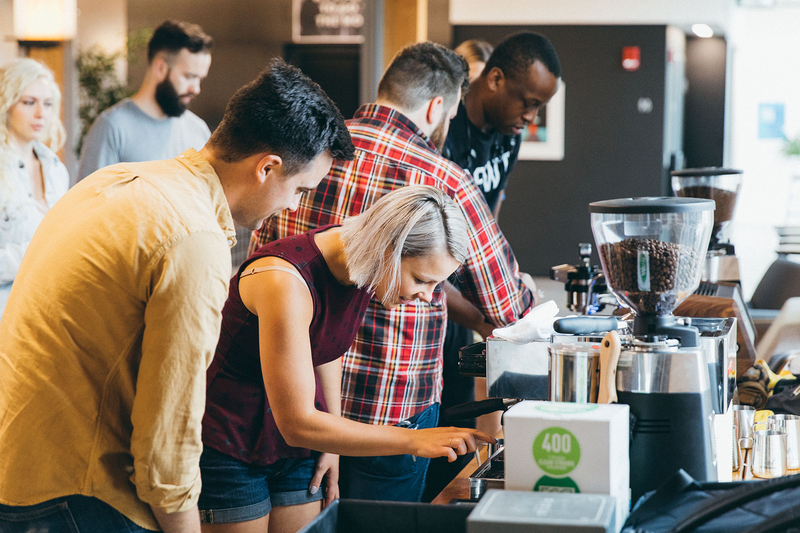 This is an awesome chance to test drive our home espresso machines, learn more about espresso, and to bring all your toughest home barista questions for our team. On the Guest Side of the booth, we’re once again bringing the True Artisan Cafe to NYC. All weekend, we’ll have three rotating bars featuring over 30 La Marzocco partners from NYC and beyond serving coffee on the Modbar AV. Each bar will be designing and crafting their own unique menu, and we’ve challenged each of our partners to come up with interesting menus to showcase what they do best. Drop by for delicious coffees and signature drinks from some of NY’s best. We’ll be releasing a schedule soon. We have some amazing swag to give away all weekend—*but*, we’re making you work for it. Throughout the show, you’ll find La Marzocco machines at many of the other booths. We’re teaming up with our partners at the show for a little scavenger hunt—once you complete the scavenger hunt, we have La Marzocco jersey tanks and t-shirts for you. Each session, we’ll hide a La Marzocco Pennant at 5 different booths—find all 5 pennants and write what you experienced at those booths in your playbook (ex. “I had a shot of espresso on a Linea Mini at the La Marzocco Booth”). Bring your playbook back to us with 5 completed experiences and we’ll give you some sweet swag. Playbooks will be available at our booth all weekend, and are filled with home espresso education for you to take home. It’s going to be a jam-packed weekend in NYC, and we can’t wait to share it with you! Headed to the show? Let us know you’ll be there. Reach out on Twitter and Instagram at @lamarzoccohome. Where are the official rules posted? Specifically, I’m wondering how to enter your sweepstakes “without consideration,” as required by law. (i.e. without having to purchase a ticket or attend the show.) Thanks!